Everyone remembers 8th grade geology class: rock samples, videos about volcanos, Bill Nye the Science Guy, and especially the charts showing the layers of the Earth. Well, at Horizon Web Marketing, we may once again refer to that chart, and break down how Search Engine Optimization works in layers too, with the goal of getting your website better rankings. Layer 1- The Inner Core: The core is the inner-most layer of the earth, the center around which everything else rotates. 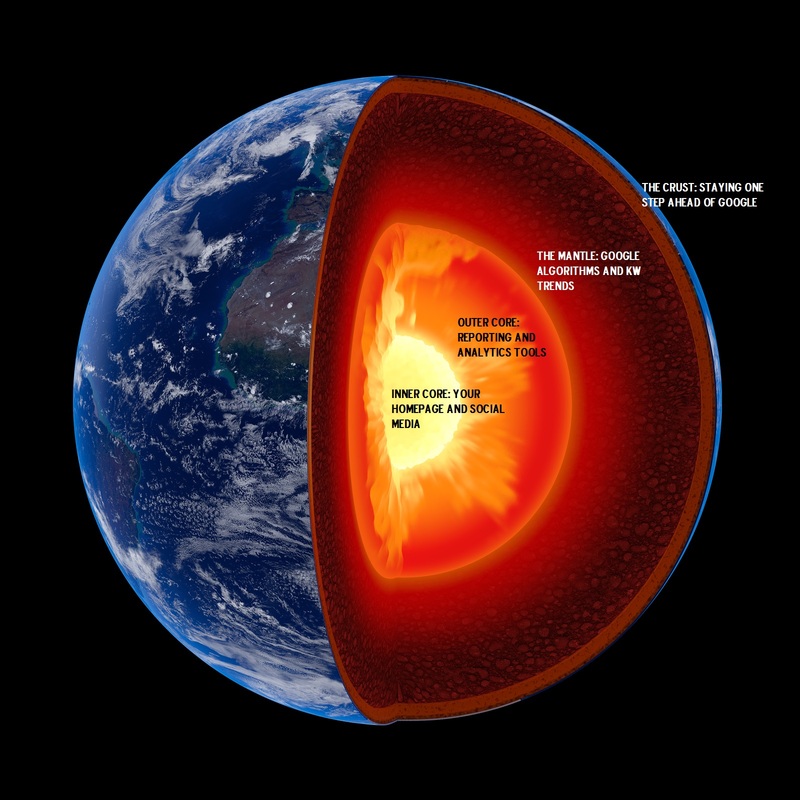 In geology, the core is made up of liquid rock and metal, and the inner core is the very center of the planet, generating earth’s magnetic field and burning at about the same temperature of the sun. In SEO, the Core layer is our basic setup process: localization. Even if you have a nation-wide business, you need to make sure your address, phone number, and other contact info is correct wherever your company is listed. Your homepage, your social media accounts, your Google+ local listing, and even on ad listings and reviews like Yelp. Layer 2- The Outer Core: The outer core is slightly cooler, and significantly larger than the inner core. 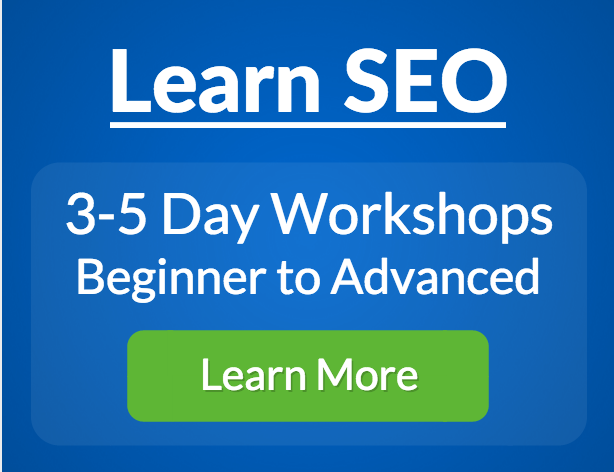 In SEO, this outer core involves secondary setup procedures for your site. 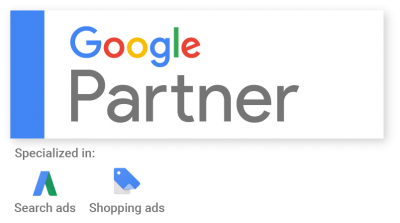 These include establishing Google Analytics and Google Webmasters Tools tracking, and linking all of your reporting sites to your business website in order to get all your data in one place, and keep track of traffic to your site. Layer 3- The Mantle: Now we’re starting to get away from the basics. The Mantle of our planet is made up of molten rock and metals- essentially the same lava and magma that erupts from volcanos! While the core is our solid foundation for both the planet analogy and SEO, the Mantle is constantly changing, flowing and heating and cooling. This is where we have the maintenance and upkeep process for your website. Algorithms change and traffic ebbs and flows just like the flow of liquid-hot rocks and minerals in our planet. At Horizon Web Marketing, we maintain your website with constant new keyword research; updating and improving content to make sure your site stays fresh and continues to rank as current search trends change. Layer 4- The Crust: You may think of the crust as the solid ground you stand on, but any good geologist will tell you that it’s far from stable. Tectonic plates are constantly shifting, seismic activity causes earthquakes, and erosion is constantly wearing the crust down and rebuilding it, all beneath your feet. This, our SEO-troubled friends, is the Google Algorithm itself. When nearly everybody uses Google to search for sites, it is a huge upset in the SEO community when the Google Corporation changes the game. First came Google’s Panda algorithm in 2011, then Google Penguin in 2012, and now we have Google’s Hummingbird. Each time they change their algorithm- aimed at making search more user friendly and responsive to the individual searcher- it changes how we optimize for keywords and content. Considering that we seem to be getting a new algorithm each year now, it truly is a tumultuous time for SEO, and the ground we stand on is far from stable. Horizon Web Marketing is a digital marketing company.